Are you among the millions of Americans under age 65 who don’t have employer-sponsored health insurance? If so, it’s important to know that under the Affordable Care Act (ACA), unless you qualify for an exemption, you are required to purchase a health insurance plan. If you don’t, expect to pay a penalty when it comes time for you to file your taxes. If you intend to buy health insurance coverage, think about the steps you take when you make big purchases, such as buying new furniture or a car. You research your available options to make the best choice for your situation, and then you proceed with your purchase. When you shop for health insurance coverage, you’ll want to follow that same process. Some health insurance plan shoppers will find that marketplace plans will work well, while for others, short term health insurance or private insurance plans are better choices. Could a private short term health insurance plan be the right choice for you? If greater flexibility in plan design and availability are critical factors for you when making the decision about whether to shop for health insurance on or off the exchanges, be sure to spend time reviewing short term health insurance and private insurance plan options. So what exactly is the difference between private insurance plans and marketplace plans? 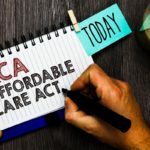 Let’s take a closer look at the ACA, which enacted a number of provisions into law that have transformed how Americans purchase health insurance coverage. As a result of the 2016 presidential election, it is possible that the ACA may be changed or even repealed at a future date. In fact, 1 out of 3 Americans say that they are delaying purchasing health insurance coverage due to the election results. It is important to note, however, the ACA is still in effect today. There is no way to know what changes may happen in the future, and your need for insurance still remains. Health insurance marketplaces (also called exchanges). To make it simple for consumers to compare and buy health insurance plans, the marketplaces provide shoppers access to government-regulated plans that are standardized to meet the ACA’s minimum essential coverage requirements (also called the 10 essential health benefits). Depending on where you live, your exchange is organized either by the federal government or your state. Mandates to purchase health insurance coverage (or be subject to a tax penalty if you don’t qualify for an exemption). Subsidies (premium tax credits and cost-sharing reductions, or “extra savings”) to help lower the price of insurance costs for qualifying shoppers. Sign up at any point for Medicaid or the Children’s Health Insurance Program (CHIP). Experience a qualifying life event, such as a change in family status, the loss of your coverage or a hardship. Eliminating pre-existing conditions and gender discrimination. Prohibiting insurance companies from dropping your coverage if you become ill, or make a mistake on your application. Allowing adult children to remain on their parents’ insurance until age 26. Giving you more rights to appeal claims that the insurance company denied. Protecting against unjustified rate hikes. For many health insurance shoppers, these provisions work to make purchasing a marketplace plan a good choice for them. Why Would Shoppers Look To Private Insurance Plans For Coverage? There are a number of reasons that consumers might look to purchase private health insurance plans, many of which are ACA-compliant tiered plans, rather than buying through their state’s exchange. To date, although more than 2 million people are eligible to receive subsidies for health insurance plans purchased on the exchange, they still choose to buy private health insurance. If you don’t qualify for subsidies and you don’t have employer-sponsored health care coverage, it might make more sense for you to buy insurance directly from a health insurance company or a broker. Not sure if you qualify for subsidies to help defer costs for marketplace plans? Consider your income. If you earn less than 400% of the Federal Poverty Level and meet several other criteria, you may qualify for subsidies. Furthermore, you may only use subsidies to purchase health insurance plans through the exchanges. A number of health insurance companies do not offer plans through the exchanges. In fact, several states including Alabama, Alaska, Oklahoma, South Carolina and Wyoming will have only one insurer offering plans through their state exchanges beginning in 2017. There are simply many more health insurance plan options and providers available to shoppers through private insurance purchases. Do you need access to specific providers or health care facilities for a chronic condition? Or do you feel strongly that you prefer one group of providers over another? It’s important to review the insurance plans offered through your state exchange to ensure that you will have access to the providers you want. Many insurance companies limit the provider networks available through marketplace plans, but offer greater network flexibility with plans that are sold outside of the exchange. Perhaps you want a different deductible, coinsurance, copayment or out-of-pocket cost structure than what is offered through the marketplace plans. Maybe you require particular medical services, and would like a plan that provides extra benefits or services that aren’t included in the ACA list of essential health benefits. If so, it definitely pays for you to research plans that are sold off the exchange. 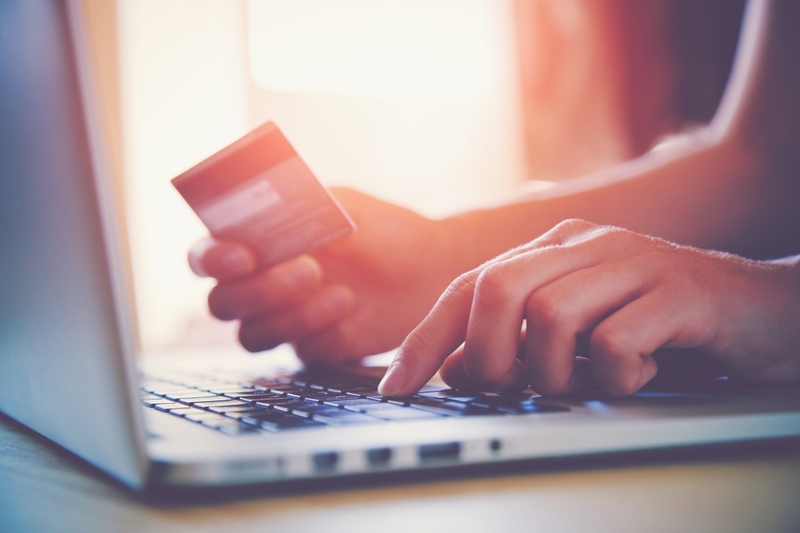 Which Shoppers Benefit Most From Choosing Marketplace Plans? All legal U.S. citizens are able to use the health insurance marketplace to shop for government-regulated, standardized health insurance plans. Whether your state offers its own exchange, or is one of the 37 states currently utilizing HealthCare.gov (the federal health insurance marketplace), all of the health insurance plans offered on the exchange comply with the ACA’s 10 essential health benefits coverage requirements. The marketplace is primarily intended for people who don’t have health insurance through their employer, Medicare, Medicaid, CHIP, or another ACA-compliant coverage source. Because the cost of health insurance through the exchange is income-dependent, many low-to-middle income Americans may qualify for assistance in paying for health care coverage. A recent study by the U.S. Department of Health and Human Services (HHS) indicates that 85% of current consumers who use the marketplace receive tax credits and subsidies that lower their cost of coverage. Cost assistance is available if you make less than 400% of the federal poverty level, on a prorated basis. In general, the lower your income, the more financial assistance you will receive to purchase health insurance coverage offered through the health insurance exchange. Healthcare.gov (the official federal health insurance marketplace) offers a handy tool that can help you determine if you might be eligible to receive subsidies to pay for a marketplace health insurance plan. What Types of Plans Are Offered on the Exchange? The category simply indicates the way in which you and the insurance provider split the costs of coverage; it is not an indicator of the plan’s quality of care. The following chart provides an overview of each plan’s key features. *If you are eligible for cost-sharing reductions (extra savings), you must pick a Silver plan to receive the extra savings. As noted previously, not all insurers offer plans through your state’s marketplace, although those same insurers may offer private insurance plans in your state. Furthermore, many insurance companies have limited the provider networks for marketplace plans, restricting the doctors, specialists and hospitals that you may visit to receive health care coverage benefits. In addition to the tiered plans described above, catastrophic plans are available if you qualify for certain hardship exemptions. Catastrophic plans comply with ACA requirements, but are primarily designed for people under age 30. Note that you may not use a subsidy to reduce your costs for a catastrophic plan. This type of health insurance plan usually offers the lowest pricing structure. You select one Primary Care Physician (PCP), and you must receive a referral from your PCP for any specialty health care services in order for those services to be covered (except for emergencies). HMOs have limited provider networks, but usually include physicians, local hospitals and pharmacies. A PPO offers greater flexibility to see the health care professionals you want, and typically does not require referrals except for very expensive services. However, a PPO probably will not offer a pricing structure as low as those offered by HMOs. You may visit providers both in and out of your PPO service network. Your rates are lower, however, when you receive treatment from providers within your network. You may receive health care services from in-network providers (at a lower cost to you), or from out-of-network providers (usually at a greater cost to you). 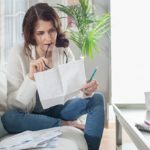 Make sure to read all of the coverage details and fine print if you are contemplating this type of provider arrangement. Health care services are typically only covered when you visit doctors, hospitals or specialists within the plan’s network (except for emergencies). It’s important to carefully research your network coverage for health insurance plans purchased through the exchanges. A recent study found that nearly 50% of plans sold through the Healthcare.gov marketplace did not provide standard out-of-network coverage. Not only are you responsible for those costs, but typically, out-of-network costs are usually higher than in-network costs for those same services. 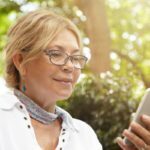 If you are comfortable with these limitations, and are eligible to receive subsidies, choosing a health insurance plan from the marketplace might work well for you. Cost – Do you qualify for subsidies? Plan Design – Can you find a deductible, copay, coinsurance and out-of-pocket structure that meets your needs? Do you have flexibility for the additional benefits that you want? Provider Networks – Are you able to visit the doctors, hospitals and specialists that you prefer? Insurer Options – Do you have choices as to which insurer provides your plans? Spending the time to thoroughly research your choices compared to your needs will help ensure that you purchase the best health insurance plan for your situation, whether you buy through the marketplace or a private plan.